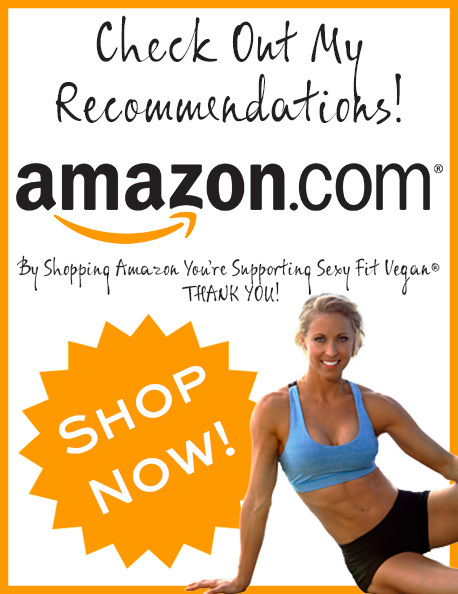 You are here:Home / Going Vegan Tips / Green Smoothies: Why and How? Downing a glass of green pulpy stuff has been the craze for a while now… But green smoothies are not just a trend, they’re here to stay and here’s why! It is very simple actually, a green smoothie is just that, a smoothie with a base of leafy greens, fruit to cut the bitterness and help with digestion and liquid. Not only do green smoothies actually taste good they are also a wonderful way to get nutrient dense raw leafy greens into your daily diet. Packed with antioxidants and phytonutrients, green smoothies not only give your body the best defenses for disease, but you are ingesting a variety of natural substances that are essential for optimum health, fitness and wellbeing. These whole foods when blended provide a power pack boost of vitamins, minerals, antioxidants and other nutrients without bogging down your digestive system. The best natural energy booster out there! Drinking green smoothies is a great way to get all your greens in. Many of us do not consume enough greens. By drinking two or three cups of green smoothies daily you will consume enough greens for the day to nourish your body, and all of the beneficial nutrients will be well assimilated. Do green smoothies taste like grass? No, the good news is, if made properly, a green smoothie tastes just as good as a smoothie of another color! The greens may add plenty of color to your recipe, but they shouldn’t alter the taste much at all. If you do make one that is slightly bitter for your liking, just add more fruit. Some greens are hidden (in terms of flavor) better than others. Spinach for example, is fairly neutral in taste, while kale has a stronger, more bitter flavor. 1. Choose your base. There are many different liquids you can choose from to use as the “base” of your green smoothie. First, there are many store-bought milk substitutes. It’s best to choose one that is “unsweetened” so you can create a smoothie that is free of any added sugars. Second, you have the option of making your own nut milk. It’s actually much easier than you may think. My favorite nut milk recipe can be found at www.sexyfitvegan.com/nutmilk. A third option is using coconut water, which will create great flavor with less creaminess. Coconut water also has plenty of health benefits including providing us with valuable electrolytes for hydration. 2. Seeds are a staple for your super food green smoothie. The three super food seeds that SFV recommends adding are hemp, chia, and flax seeds. All three are high in protein and fiber, and hemp seeds are among the few plant foods that are a complete protein. 3. Use Popeye Power to make it a Green smoothie. Popeye was smarter than he looked! Dark leafy greens are, calorie per calorie, the most nutritious foods on the planet! 4. Choose a thickener. Depending on how thick you like your shake, either banana or, believe it or not, avocado, can be added if it needs to be thickened. 6. Super food add-ons. Depending on your individual health considerations, there may be additional supplemental foods that would be appropriate additions to your smoothies. Learn about the benefits of amla and maca powders in the book. 7. For the fitness freaks. If you are extremely active, do high-intensity workouts, and/or are looking to gain muscle mass, you may want to consider a few ways to get the extra energy and protein you need. Ella gives some great tips for making your green smoothie especially helpful to make gains. 8. Va Va Va Vitamix. A high-speed blender is a key component in successful shake and green smoothie creations. Many of the ingredients SVF suggests simply require a quality piece of equipment to fully breakdown and blend together. Thanks for sharing such informative blog on Health and Fitness looking very helpful for those who wants to enter in the health and fitness world.